Comfortably seated on our coach, we leave the port of Kobe behind us to reach the charming Kitano Ijinkan district, which dates back to the second half of the 1800s. We walk along the winding roads that embrace the entire cosmopolitan soul of Kobe - thirty western-style houses (ijikan) dot the district on the city’s hills, a magnificently-preserved testimony of a time when the city of Kobe was Japan’s only opening to the world. We admire the seductive panoramas along the southern coast which charmed the first foreign traders and diplomats responsible for the establishment of this Victorian enclave. European cafés, Catholic churches and a synagogue can still be found there to this day. We then head to Meriken park, a pleasant seafront garden in the harbour area. Created on a reclaimed area, it is an attractive lawn dotted with fountains and modern art installations. 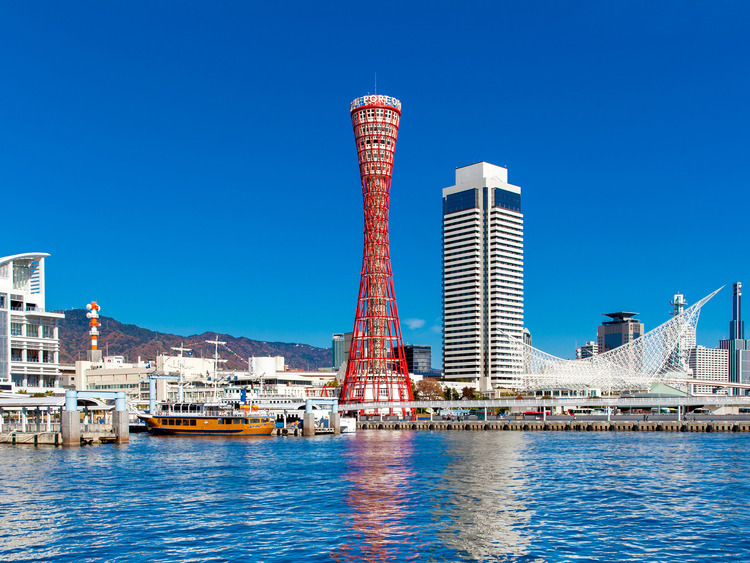 Inside the park, we can admire the Kobe Port Tower, a cylinder surrounded by a red pipe structure in the shape of a traditional Japanese drum. This tower, 108 metres tall, has become an icon on the Kobe’s skyline and an attraction for tourists from all over the world. The length of the coach transfer depends on the itinerary. Traffic jams are to be expected during tourist season. Money cannot be exchanged in the port, we recommend buying Japanese currency beforehand. Visibility during the tour is subject to weather conditions. Comfortable shoes with a low heel are recommended.